In this cold month of January I cannot carry on thinking of spring just yet. I want to live in the moment, enjoying this season, feeling the cold wind on my face and wearing cozy clothes on grey days. Welcome every change of season. January is the month to wear white and not because we are going to a ski resort, but because it is a cozy color to roll in. A city winter white coat should be ample, loose fit enough to give you space to wear a sweater or layered clothes underneath with a large collar or hood to embrace you in warmth. I like my coats with a few deep pockets and frogged closures. 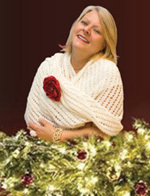 Fabrics for a winter white coat should be light and warm for easy wear. It should contain mixed wools, cashmere, merino, alpaca, or a mixture of all and it should be scotch guarded on for easy cleaning. A white coat is versatile, easy to wear with jeans, any regular pants or fuseaux (leggings). With a white coat I would not wear white shoes and bags, it’s January after all. The accessories should be the accent. For a sober look, colors can range from warm beige, saddle, tobacco to grey and black. For a more playful look other colors can find their way in the mixing. White coat over white garment is the classic combination, perfect for brunette or red hair women, but not for blond women. Long time ago I wore real fur hats, now I wear ecological furs. 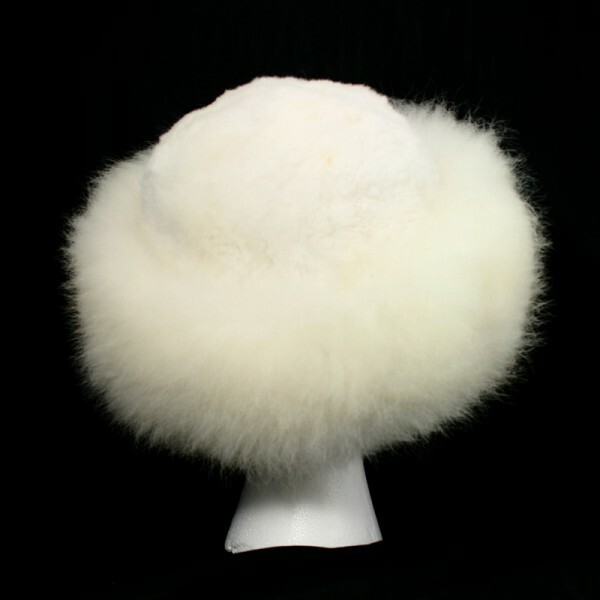 I like that feeling of sinking my head in the soft fur even though it is faux. Gloves and scarf will add the finish touch. 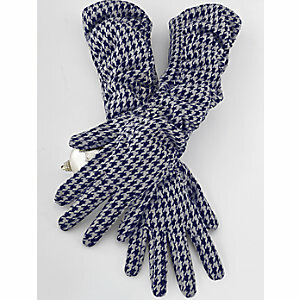 I just ordered my houndtooth long gloves and now I am ready to face the cold weather.